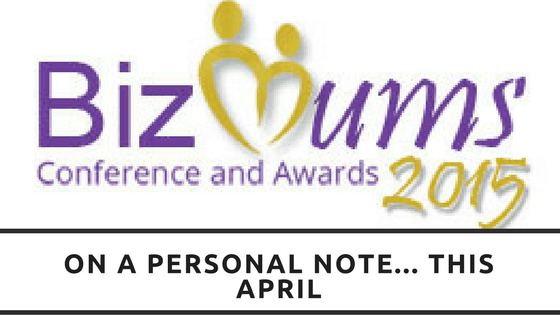 BizMums Conference and Awards – What an amazing day!! I do not know where to begin. Saturday (17/10/2015) I went to my first BizMums Conference and Awards ceremony and I can honestly say the warmth, support and overall welcoming you feel as part of their group is amazing, some beautiful women were selected for awards and it is such a pity they all couldn’t be given awards for their contributions not only to the business world but to one another on a support basis. I truly cannot wait to get more involved with these women and help spread their love. Speaking of love, must I say that if you ever need a boost in confidence running your business or worrying about fitting in then you need to speak to the lovely Mrs Emma Sutton, Queen of Diamonds. Many business owners like those seen at the conference want to stand out from the grey corporate world, have taken the steps to start their own business built on what they enjoy, so why then should you continue to conform to the ‘dude rules’? Live it up like a diva and let your personality shine in your business. There are 3 things Emma believes every business owner should love. Love your business – If you are not totally in love with your branding and graphics that you would frame it on your wall, then change it to something you could completely love! You lose passion in your business if you are not in love with it and what you do, let your business be an expression of who you are and do not be afraid to stand out. Love your clients – What client is going to rave about your business and spread knowledge of it to their friends if they feel like another blank face to you? A quick 2 minute phone call or email to say ‘Hi how are you?’ can make all the difference. Emma owes this lesson to a lovely butcher she once knew, whenever she would go in for something he would ask nicely what she was making, upon learning he would provide her with a secondary ingredient without asking anything in return. For Emma this created the first of many ‘You will never believe what just happened to me…’ moments. This happened around 12 years ago yet Emma has never forgotten his kindness. Love yourself – Do you really know who you are, or have you spent so long being a business ninja? No not a smooth secret fighting machine but so hidden amongst the crowd too afraid to be yourself and take the risk. Then you need to fully embrace who you are and let her loose!! Proud to be true to yourself, even if it means some do not like you so what brush it off and carry one. You cannot truly be yourself and have everyone love you, there will always be those that you do not get along with. Emma highlighted that not everything needs to be the same as everyone else, if you want to wear your heart on your sleeve then do so. Ignore that niggling voice of doubt listing all the reasons not to do something and just do it! If you are worried someone might be too busy to answer the phone but unsure when to call then just call and take the chance you might be surprised. IF you have a naturally bouncy and outgoing personality then do not hide it when it comes to business. One thing I fully took away was Emma’s statement about knowing your worth. Do not worry if you are possibly over pricing, you are worth every penny you charge. She mentioned a quote regarding a Ferrari sales man who worried about the prices he was charging but he realised the price reflected the worth of the cars. Do not let yourself get in the way of achieving all that you can. Do not be afraid to ruffle some feathers and stand out. Try once a week to do something you were unsure about doing. Emma considered that other business owners where doing as she was, stuffing business cards in a drawer till it got full then tipping it in the bin. So she changed it up and took a risk to offer people a small glass diamond instead. Amanda helped us break things down and see no matter what time we have, especially since we all have the same time as Richard Branson!, we can create effective plans with very little stress involved. The main point is managing your time effectively, sit down work out where your time goes and if you are spending hours browsing Twitter then why not use it to market instead? If you do not know how to do the marketing tricks needed then get trained, or even better hire someone who can (a Virtual Assistant or Marketing company). Many people see new technology and methods evolve and feel they should be taking part, Periscope being one of them, yet not every method works for every company. What might work for your competitor may not necessarily work for you, if you do not know how to use Twitter do not stress about it use another platform that you can use. Ever attend a seminar and take a TON of notes yet stuff them in a file to type up and go over later and haven’t done? It is because there is too many distractions and very action taken! Amanda gave us 5 tips in which to follow and help us get over the overwhelming marketing. What are you currently doing right? Taking a few minutes to answer this questions will help you get started on your journey to effective marketing. There is no point spending time and money on a million projects trying to build awareness of your company if you do not actually have a goal in place to achieve, whether it be at the end of the month or the end of the year. So do you know your current goals? This one had a few of us looking extremely confused as to the half a list??? Really?? Yet once Amanda explain it we fully understand the reasoning. Take that knee for 30 minutes (Time yourself so you do not over think things) and brain dump! Absolutely everything that is spinning in your head, work, personal, projects anything. Even the old question of ‘what shall I cook for dinner tonight?’ – dump it! Then look at all the projects/goals you have listed on the dump page and pick one, just one. This will then be your focus for the month, if you finish it earlier than the end of the month then go ahead and pick another one but focus on one at a time. This is where the half list comes in. Break the project down in to steps – What supplies and resources do you need? If you haven’t got them make a shopping list and go shopping one day. Take it a step a day and watch as that long overdue project is completed or that far away goal is suddenly achieved! If you do not even understand the reason for doing what is you do then why are you doing it? Where is your passion and drive if you have no reason for it? If you have lost sight of that reason then take a knee and rediscover it. Write it down, frame it, whatever it takes to remind you why you are doing what you are doing when you start losing sight. Amanda used the film Machine Gun Preacher to highlight this point. What is you want to achieve? Know exactly what it is you want to achieve and what you need to do to get there. For Amanda this was rowing, she wanted to start rowing and now practises approximately 4 times a week as part of a team. This is because she knew her goal and went for it. Very similar to Emma, Amanda highlighted that no matter how much you believe in your business there is always room for doubt, but the knowing who you truly are and why you are doing what you do comes from deep within your core, there is no room for doubt. You are not always destined to be everyone’s favourite, statistically within the first 3 seconds someone will make up their mind not only about you but your business, however it’s using your knowledge of your business and what is currently important in the world around you that will help you build awareness of yourself and your brand. Once awareness is earned follow up will bring in the business. Marketing is consistent, not when the flow of work stops, so email previous and current clients every month to say Hi, or reminding potential clients you are still there ready to help them can make the difference between effective marketing and just building vague awareness. Both ladies provided some excellent advice and I cannot thank them enough for their speeches. I intend to take away things I have learnt and use them not only in my own business but in that of my clients. Hope I did their speeches justice from the numerous notes I wrote down 🙂 If anyone would like to know more about either the ladies or of BizMums itself then please do get in touch I will gladly provide the information.